As we age, dark spots are more likely to appear on our skin. In fact, they’re so common that we know them as “age spots” or “liver spots.” Age spots are typically tan, brown, or black, and vary in size. Dark spots on the skin caused by age can sometimes look like cancerous growths, but true age spots are harmless and typically do not require treatment. However, if you notice a sudden appearance of age spots, you should have them looked at by a medical professional to rule out the presence of cancer or other dangerous skin conditions. 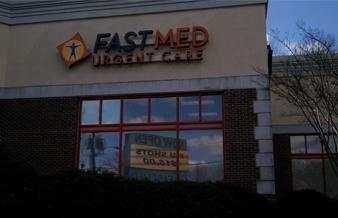 If you are concerned about the look of the dark spots on your skin, stop by a FastMed clinic near you. Should Dark Spots on My Skin Concern Me? Age spots are usually caused by years of exposure to the sun or the use of commercial tanning beds. UV light from the sun or a tanning bed accelerates the production of melanin in your skin. Frequent and prolonged exposure to UV light can cause the melanin to become clumped, causing dark spots. All of our urgent care clinics are open 365 days a year, and you don’t need an appointment to be seen. If a FastMed medical professional determines that the dark spots on your skin should be seen by a specialist, we will set up the appointment for you. At FastMed, our number one priority is you.